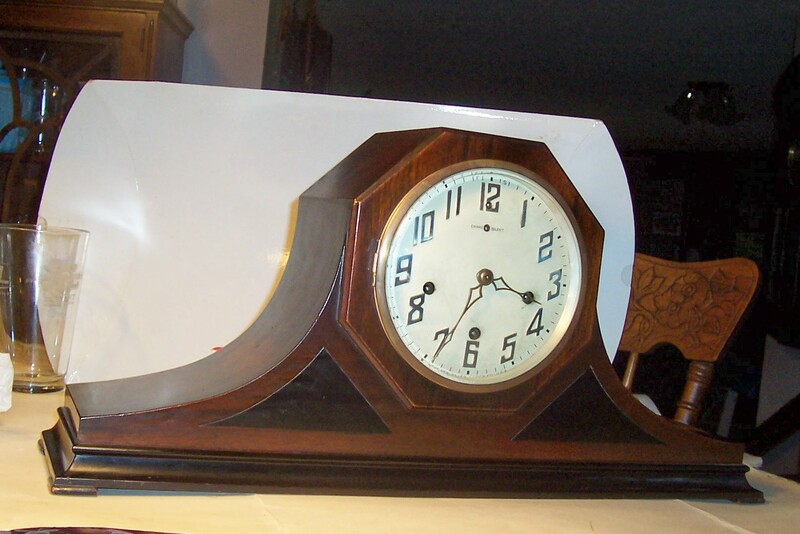 This is a New Haven “Lincoln” Westminister (or Westminster, depending on whom you ask) chime mantel clock, made in the 1920s in New Haven, Connecticut. The case is a beautiful mahogany solid wood in excellent condition, and it has one of the nicest sounding chimes I have heard. For those of you who like the sound of a nice chime coupled with a bit of a deco look, you’re in for a treat! The price is $350.00 with a 1 year warranty. Click on the picture for a closer look, and let me know when you want to come and pick it up. This entry was posted on October 20, 2008 at 4:07 pm and is filed under Sales. You can follow any responses to this entry through the RSS 2.0 feed. You can leave a response, or trackback from your own site. What is the difference between this Lincoln clock and a New Haven “Harmoniste” 1930 Conn clock? I have a clock just like this that I want to sell – it does not run. I have 2 other clocks to sell. Do you buy clocks?